Самолет F.III был создан на базе F.II и отличался от него укороченным фюзеляжем большей ширины, в комфортной кабине которого могли разместиться пять пассажиров. Пилот сидел перед передней кромкой высокорасположенного свободнонесущего крыла в открытой кабине, ДальшеMore>>> смещенной к правому борту. Крыло имело толстый профиль и типичную для "Fokker" деревянную конструкцию с фанерной обшивкой. Шасси с хвостовым костылем имели на основных опорах одиночные колеса, установленные на общей оси, и по сравнению с F.II на самолете была увеличена высота руля направления. Прототип, оснащенный двигателем BMW IIIa мощностью 185 л.с. (138 кВт), впервые поднялся в воздух в Шверине в начале апреля 1921 года, а уже 14 апреля его передали авиакомпании KLM. Машина также экспонировалась на Парижском авиасалоне 1921 года, но собрала неоднозначные отзывы, во многом благодаря недоброй памяти о службе самолетов Фоккера Германии в годы Первой мировой войны. Тем не менее, к середине 1920-х годов F.III стал одним из самых распространенных европейских транспортных самолетов. Из 31 машины F.III, построенной "Fokker", 12 машин, оснащенных двигателем Armstrong Siddeley Puma в 240 л. с. (179 кВт), были переданы авиакомпании KLM, начавшей их интенсивную эксплуатацию уже в 1921 году. Другими покупателями стали германская авиакомпания "Deutsche Luft-Reederei" (самолеты с двигателями BMW IIa) и венгерская "MALERT", использовавшая шесть F.III (четыре с двигателем BMW IIIa и два - с двигателем Hiero в 230 л.с./172 кВт) на линиях между Будапештом, Веной и Грацем. Один F.III совершил демонстрационный тур по Северной Америке, но там удалось продать всего два самолета. F.III позднего выпуска, оснащенные двигателями Rolls-Royce Eagle мощностью 360 л. с. (268 кВт), имели кабину пилота сдвинутую к левому борту, и на части из них устанавливалось подкосное крыло-парасоль. Советско-германская авиакомпания "Deruluft" в 1922 году приобрела 10 таких F.III, а еще две машины купила компания KLM. Последние в 1925 году переоснастили радиальными двигателями Gnome-Rhone (Bristol) Jupiter VI в 400 л. с. (298 кВт) и использовали на линии между Амстердамом и Парижем. В 1926 году пять уцелевших F.III были проданы швейцарской авиакомпании "Balair", и 28 апреля они группой перелетели к новому месту приписки в Базель. В 1923 году выпуск F.III начался в Германии на заводе фирмы "Staaken", и авиакомпания "Deutsche Aero Lloyd" приобрела как минимум 20 самолетов, называвшихся Fokker-Grulich F.III. Некоторые из них были оснащены двигателями BMW IV мощностью 250 л. с. (186 кВт), а на остальных стояли Puma. Позднее несколько самолетов оснастили двигателями BMW Va в 320 л. с. (239 кВт), изменив обозначение на F.IIIc. Когда в 1926 году была организована авиакомпания "Deutsche Lufthansa", в ее парке насчитывалось свыше 16 F.III, работающих на линии между Гамбургом и Амстердамом. Позднее их перевели на короткие линии, связывающие города на северном побережье Германии, а затем использовали для перевозки грузов. В 1929 году два F.III были проданы авиакомпании "British Air Lines Ltd.", базировавшейся в аэропорту Кройдон. Grulich V1: самолет отличался измененной конструкцией фюзеляжа, оперения и шасси, первоначально оснащался двигателем Rolls-Royce Eagle VIII; после замены на двигатель воздушного охлаждения Gnome-Rhone обозначение изменили на V 1а; вариант использовался авиакомпанией "Deruluft"
ACCORDING to programme the air service between London and Amsterdam was opened on Thursday of last week (April 15). The machines used by the K.L.M. (Koninklijke Luchtvaart Maalschappij) on this service are of the Fokker type F.III, similar to the machine described in FLIGHT of October 7, 1920, with the exception that .230 h.p. Siddeley "Puma" engines are fitted. Also the cabin arrangement has been somewhat redesigned, seating now five passengers, three facing forward and two facing aft. Another innovation is the placing of the pilot's seat, which is now at the side of the engine, more or less after the fashion of the "K" type London omnibuses. In other respects the machine remains much as the previous type. A small alteration has also been made to the "roof" over the pilot, i.e., the leading edge of the wing. This has now been scooped out, and is said to give much better freedom from draught than did the old arrangement, which left much to be desired from this point of view. The first of the K.L.M. Fokkers arrived "unofficially" on Tuesday of last week, so as to be in readiness for the start on Thursday. It was originally intended to have an official ceremony for the opening of the service, representatives of the Dutch Government, the Air Ministry, etc., being expected to witness the start of the first machine from Croydon. However, the strike and general unsettled condition obtaining last week disarranged the programme somewhat, the first machine leaving from this side without any ceremony about 10.15 a.m. on Thursday, arriving at Amsterdam at 2.0 p.m. A distinguished gathering witnessed the start of the other machine, which left Amsterdam (Schiphol aerodrome) about a quarter of an hour after the arrival of the machine from England. This machine arrived at Croydon at 6 o'clock, so that a passenger could have made the journey to Amsterdam and back between the hours of 10 a.m. and 6 p.m. Not that such a trip would leave any time for doing business in Holland, but it goes to show how flying does help to speed-up travel. The Dutch London-Paris service is now in full swing, and one only regrets that the service is not run by a British firm. One consolation is, however, that the engines and pilots are British. 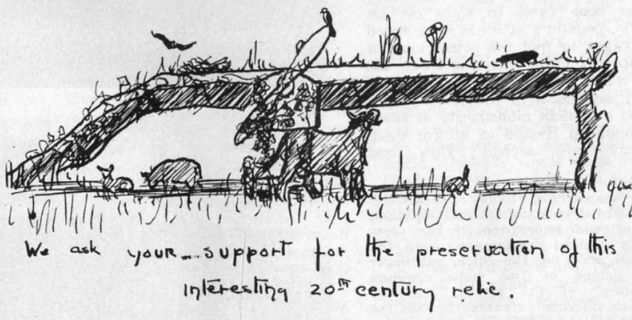 AT the time, last year, when the first of the Fokker F III machines was flown from Amsterdam to Croydon by Mr. Hinchliffe we published illustrations and a brief description of this machine. Since then considerable modifications have been made, and as these machines are now in regular service on the London-Amsterdam air line operated by the Koninglijke Luchtvaart Maatschappij, a description and a few illustrations of the machine may not be without interest. On application to the Fokker works at Amsterdam, the manufacturers have been good enough to supply us with a couple of photographs and general arrangement drawings of the machine, as well as data relating to weights, performance, etc. These particulars we have been able to amplify and check by inspection of one of these machines at Croydon, which showed the general arrangement drawings to be somewhat unreliable, referring probably to an earlier model. We have made the necessary alterations, and, as shown in the accompanying scale drawings, the machine is for the first time correctly represented. It would appear that the wings have been made slightly longer, while the ailerons are provided with balances, and project beyond the trailing edge of the main planes. Other detail differences were also noted, especially in the arrangement of the louvres and of the exhaust pipe. Designed for economy, the new Fokker F III is chiefly interesting on account of the fact that with an engine of 230 h.p. only, it carries five passengers in addition to the pilot. Yet from what we have seen of the machine, it appears to get off very well, considering the high power loading, and it certainly seems to have a most extraordinarily good gliding angle, while the landing speed is quite reasonably low. It might be thought that, with such a high power loading, the engine would have to be run all out most of the time during a journey. Yet we understand from the pilots who fly the machines between London and Amsterdam that this is by no means the case, the machine flying comfortably on about three-quarter throttle. The speed is not high, could not be very high for that power loading, but it appears to be high enough. That is the whole point of the controversy between those who maintain that the power loading must be low for the sake of speed and safety, and those who hold that to be a commercial proposition a machine must not be expected to have available close on 100 h.p. for each passenger carried. The reserve power of a machine like the Fokker appears to be sufficient, and if the speed is also sufficient to allow competition with other means of transit, there would appear to be no reason for increasing the power. Rating the Siddeley-"Puma" at 230 h.p., the power expended is 45 h.p. per passenger carried, or, counting the pilot, 38 h.p. for each occupant. This is getting somewhere down to the figures obtaining in pre-War machines, when it was quite a common thing to carry pilot and passenger on a 50 h.p. Gnome developing somewhere about 45 h.p. But for the startling performances attained during the War we should still think the speeds corresponding to such a power loading reasonable for commercial work. In the Fokker the power loading is just under 20 lbs./h.p., and the speed is about 100 m.p.h. In general construction the new Fokker F III follows closely the lines of the earlier machine. The rectangular section fuselage is built entirely of steel tube, the struts being welded to the tubular longerons. In this respect the F III is similar to the War-time German Fokkers. The bracing is by piano wire, and the well-known Fokker feature of simply looping the wire over the tubular quadrants in the corners between struts and longerons is also found in the F III. Although this appears to duplicate the bracing wire, it does not do so in reality, as in the case of the wire breaking if will slip over the quadrants and be of no use as a stressed member. The chief advantage would appear to be that instead of the usual single wire and wire strainer, which requires four loops to be made and four ferrules slipped over, and four ends of wire bent over the ferrules, with this arrangement there are only two loops to be made. Certainly it should not be regarded as duplicate wiring. Again, the welded joints for struts and stressed wire attachments are not to be recommended on theoretical grounds. So long as each joint is a perfect specimen of the welder's art, it may be satisfactory, but there is always the difficulty of detecting the imperfect weld, and thus one is very much in the hands of the welders. We do not know that in practice this form of construction has been found to give any trouble, but the possibility of defect is there. From certain points of view one of the most interesting features of the Fokker F III is the wing construction. As will be seen from the illustrations, the wing is of very deep section, tapering both in thickness and chord from the root to the tips. It is of the cantilever type of wing, without any external bracing, which gives the machine a very clean appearance. The two main spars are box spars, with top and bottom flanges of spruce and sides of three-ply wood. The ribs are of three-ply, with spruce flanges. In order to render the wing more resistant to changing weather conditions, and also to assist in strengthening it against torsional stresses, the usual fabric covering has been replaced by three-ply wood. It is claimed that the result is a wing which has no tendency to warp or get out of truth, and that therefore no adjustments necessary, nor, for that matter, is it possible once the wing is finished. The centre portion of the wing is of uniform chord, for a distance equal to the width of the fuselage, and at the ends of this parallel portion are the four large bolts by means of which the wing is secured to the top of the body. Thus, by undoing four bolts the wing can be lifted off. The remainder of the wing tapers both in chord and thickness, The ailerons are of the balanced type, and appear to be very small in proportion to the size of the wing. Yet we are told by pilots who have flown the machine that the ailerons are quite effective, probably by reason of the tapering wing. There is a slight wash-out to the aileron tips, as one has become accustomed to expect in a machine whose designer has learned his trade in the German school. The ailerons are fabric covered, but the fabric has been painted to imitate the three-ply covering of the wing, and it is not until one happens to stand directly under an aileron, and sees, the light shining through it, that one realises that the covering is different from that of the wing. From the point of view of the prospective passenger, the most interesting feature of the Fokker is the cabin. This is roomy and most comfortable. Seating accommodation is provided for five passengers, three of whom sit in a sort of sofa running across the cabin. Arm-rests divide this sofa into three separate seats, and the springing is Such that, even in a very bumpy landing, the passengers would feel little or no shock. The remaining two seats are in the form of comfortable arm-chairs, anchored to the floor of the cabin by short cables, which allow of moving the seats about to a certain extent while still ensuring that they are not capable of being upset. Behind the sofa is a narrow space running across the cabin, forming a compartment for light luggage. In a small cupboard in the aft wall are kept, we notice, first-aid outfits for cases of emergency. Owing to the absence of any wing below the roof of the cabin, the view obtained is extraordinarily good in a horizontal and oblique direction, and in this respect the underslung cabin would be difficult to improve upon. As regards the question of emergency exits, we feel that we are entitled to offer a certain amount of criticism. Should the machine alight on the sea, it seems probable that she would keep afloat for some time owing to the buoyancy of the deep three-ply covered wing, but she would probably at once submerge until the whole of the fuselage was under water. In that case it would be a matter of some difficulty, not to say impossible, for the passengers to get out through the windows. The roof of the cabin is covered by an aluminium plate, and above that again is the very substantial centre portion of the wing, inside which is housed the petrol tank. Thus escape through the roof would be impossible. It appears to us that a much more satisfactory arrangement would be to divide the petrol tank into two, placing one on each side in the wing just clear of the body. A trap-door in the centre section would then afford ready means of exit in cases of emergency, and this arrangement would not interfere to any great extent with the simplicity of the petrol system, which could still be by gravity from the two main tanks. The alteration suggested would, we think, render the Fokker F III one of the safest and most comfortable machines in existence. 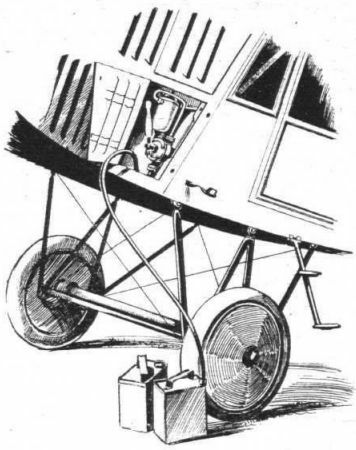 We would point out that we are not offering this criticism in any carping spirit, but are merely prompted by a desire to see every machine used for passenger work made as safe as it is humanly possible to do, and to prevent as far as possible any chance of an accident which would do harm to the cause of aviation. One of the unusual features of the Fokker F III is the installation of the engine, or rather of the pilot in the engine-room. The engine, a 230 h.p. Siddeley-"Puma," is mounted on a framework of steel tubes, much after the fashion of the German Fokkers of the D.VII type. In order to leave slightly more room for the pilot, the engine is mounted a little to port of the centre line of the machine. On the starboard side of the engine is the pilot's seat, level approximately with the end of the engine. As there is no partition the pilot can see his engine constantly during flight, and the engine controls are of the simplest possible and very short. 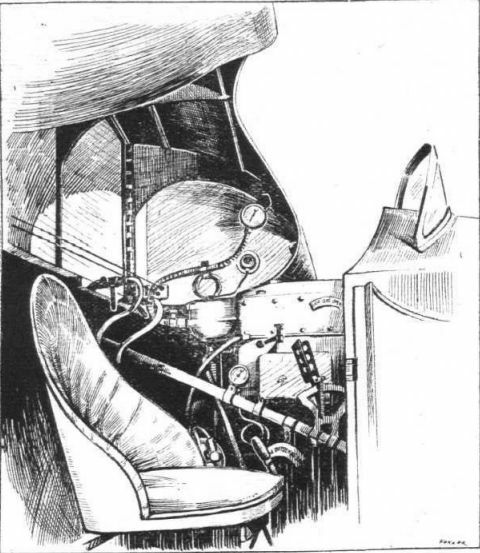 The throttle, ignition, and radiator shutter levers are mounted on the engine itself and within easy reach, as will be seen from the accompanying sketch. The petrol feed is by gravity from the main tank, which is mounted inside the centre section of the wing. A petrol gauge is placed on the left, running down the front face of the front spar. 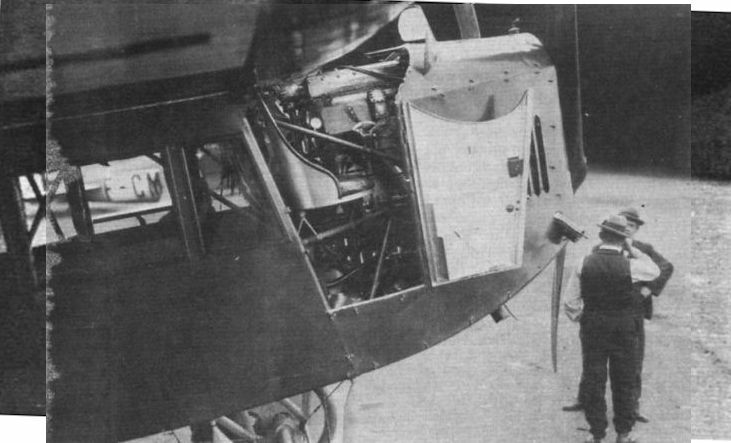 In order to provide room for the pilot's head, a portion of the leading edge of the wing has been scooped out, and inside this are mounted the various instruments. Although possessing many obvious advantages, this arrangement is so unusual as to feel rather strange to the pilot at first. We are told, however, that he soon becomes accustomed to it, the view forward and slightly to port is very poor, and another thing which we did not particularly like is that the pilot, seated as he is with his head inside the scooped-out portion of the wing, cannot see his wing tips. How he tells whether or not his machine is on a level laterally we do not know, but it would probably be a simple matter to fit, over the top of the radiator for instance, a cross-wire arrangement by which the lateral inclination of the machine could be judged. From the point of view of accessibility the engine installation is excellent, all parts of the engine being easy to get at and the engine housing very roomy. The manner of filling the petrol tank is ingenious, and is illustrated in one of our sketches. Mounted near the port side of the engine housing is a pump of the type which one associates with yachts, etc., but which is not frequently found on aircraft. From this pump a length of rubber tubing, normally coiled up inside the engine housing, can be taken outside the machine and its free end inserted in a petrol tin. A few strokes of the pump soon transfers the petrol to the tank, when the next tin is emptied, and so on. The whole operation of filling up the tank can be accomplished by one man in a few minutes, and there is no slopping over and spilling the petrol all over the machine. As the undercarriage is similar to that of the earlier model, there is no need to go into great detail here. It consists of two frames of W formation, which, owing to the considerable width of the body, do not rake outward to anything but the smallest extent. Double wheels are fitted, and the springing is by rubber cords. Tank capacity (petrol). 78 gals. Tank capacity (oil) 7 gals. Accommodation Pilot and five passengers. Length o.a. 33 ft. 10 ins. Span 53 ft. 6 ins. Height 10 ft. 6 ins. Height of cabin 4 ft. 8 ins. Wing area 473 sq. ft. (including ailerons). Weight fully loaded 4,520 lbs. Weight per sq. ft. 10 lbs. Weight per h.p 19.65 lbs. Maximum speed 105 m.p.h. (approx.). Cruising speed 90 m.p.h. (approx.). Интересно, что "Fokker" построила два F.III с регистрационным номером H-NABL. Оба самолета принадлежали авиакомпании KLM, но второй позднее использовался как источник запчастей для третьей машины. Помимо самолетов производства "Fokker", KLM сама занималась изготовлением F.III. Как минимум одна машина была собрана из запасных частей и узлов второго H-NABL, и есть информация, что подобным образом был собран и еще один самолет. 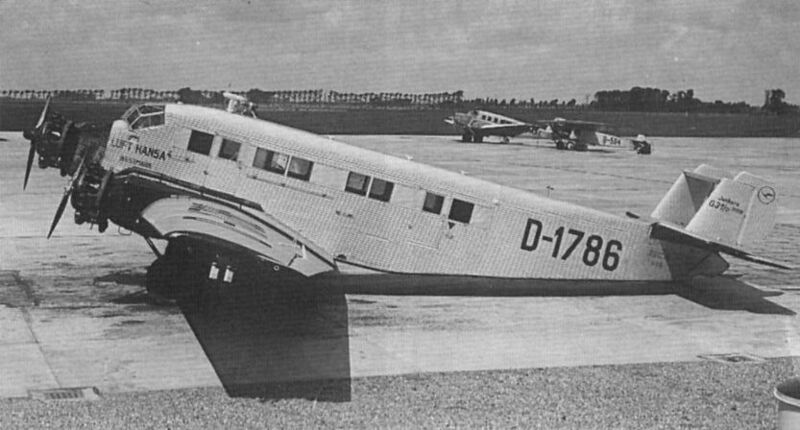 The five-passenger Fokker-Grulich F.III D378, seen in Deutscher Aero Lloyd colours before it became part of the Lufthansa fleet. Another example of the well-used Fokker-Grulich F.III was D- 575 Isar, with a 250 h.p. BMW IV engine. 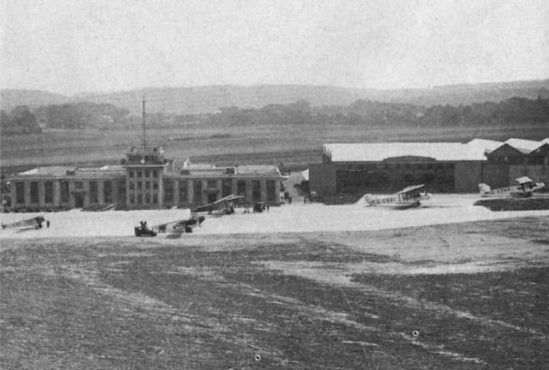 Three F.IIIs remained in service with Lufthansa until 1936. THE START OF THE K.L.M. LONDON-AMSTERDAM SERVICE: On the left one of the new Fokker F.III machines in use by this firm. On the right a close-up view of the cabin, engine housing, etc. The engine fitted is a 230 h.p. Siddeley "Puma." The machine has seating accommodation for five passengers. THE FOKKER F III: Front view. Fokkers at Paris: The N. V. Nederlandsche Vliegtuigenfabriek shows an "F.III" and a small glider of usual Fokker construction. THE FOKKER F III: Side view. This view of Fokker F.III H-NABL of KLM during a visit to Britain give a good impression of the aeroplane’s general appearance. Note the absence of a fin, the thick, cantilever wing devoid of the more common "struttery” of the period, and the balanced ailerons extending beyond the wing tips. 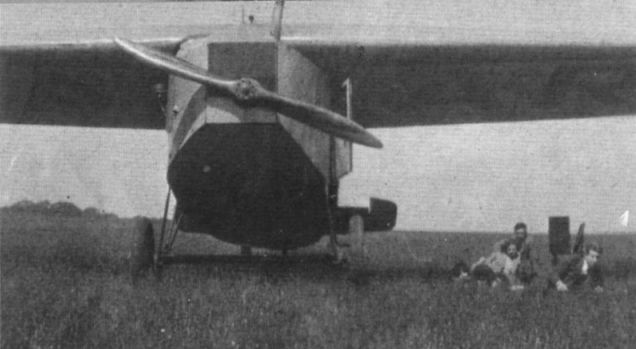 THE FOKKER F III: Three-quarter front view. Самолет Fokker F.III авиакомпании "Дерулуфт"
Имевший типичную для Рейнхольда Платца конструкцию со свободнонесущим толстым крылом, выступающими элеронами и легким, но прочным шасси, Fokker F.III был одним из самых эффективных транспортных самолетов своего времени. RUSSO-GERMAN AIR MAIL SERVICE: Our photograph shows two of the Fokker monoplanes to be used on the Konigsberg-Moscow service, which was inaugurated on May 1. At first the service will be bi-weekly, the machines leaving Konigsberg at 9 a.m., arriving at Smolensk at 4.15 p.m., leaving Smolensk at 4.45 p.m., and arriving at Moscow 7.45 p.m. In the opposite direction the times are as follows: Moscow 6.30 a.m., Smolensk 9.30, leave Smolensk 10, arrive Konigsberg 3.15 p.m. Machines will leave Konigsberg on Sundays and Thursdays, and Moscow Sundays and Wednesdays. The railway journey between Berlin and Konigsberg occupies 12 1/2 hours, and the flight between Konigsberg and Moscow 9 hours, giving a total of 22 hours, as compared with more than five days by train. The air mail fees are to be 8 marks for post cards and 8 marks for every 20 grammes in the case of letters. RED FOKKERS. 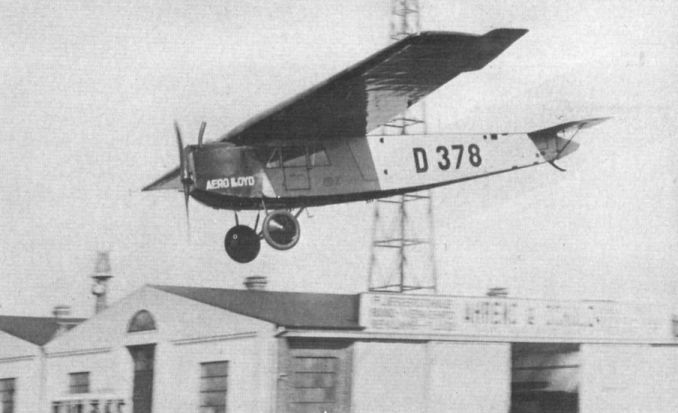 Now that Aeroflot is planning to extend its services to the Western European capitals (with TU-104s) it is interesting to recall that the first Soviet external service (Moscow-Berlin) was inaugurated in 1922 by the Russo-German company Deruluft, using five-passenger Fokker F-IIIs powered by the 360-h.p, Rolls-Royce Eagle twelve-cylinder, liquid-cooled vee engine. Developed from F-II of 1919, the F-III entered service initially with K.L.M. (Amsterdam-London, etc.) in April 1921, powered by a 240-h.p. Siddeley Puma six-cylinder inline engine. In this version the pilot sat to the right of the Puma, and In the Eagle version on the left side. Maximum cruise, about 90 m.p.h. 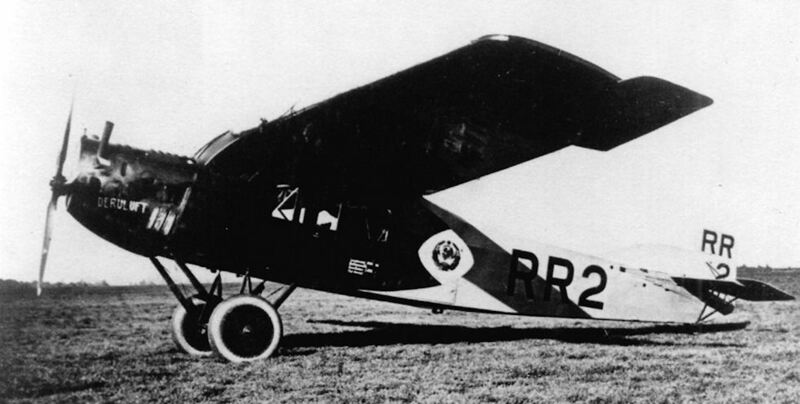 Fokker's admirable Press Officer, H. Somberg, has pointed out that while RR1 and RR3 are standard high-wing Fokker F-IIIs, RR2 was an F-III-modified. In this case the wing was mounted above the fuselage (cantilever parasol), giving the pilot a magnificent all-round view. Самолет Fokker F.III с двигателем "Юпитер" фирмы "Бристоль"
На снимке хорошо видны роговые компенсаторы элеронов, выступающие за законцовки крыла самолета Fokker F.III. Этот самолет, впервые взлетевший в 1921 году, унаследовал такие элероны от своего предшественника V.45, построенного в 1919 году. AN INTERNATIONAL JUNCTION: Schiphol, the airport of Amsterdam, is called at by Fokker machines of many international airlines. The photograph shows in the foreground a K.L.M. Fokker F.VIII, next to it a Fokker F.III belonging to the German Luft Hansa, and a Fokker F.VIIa of the Danske Luftfartselskab. 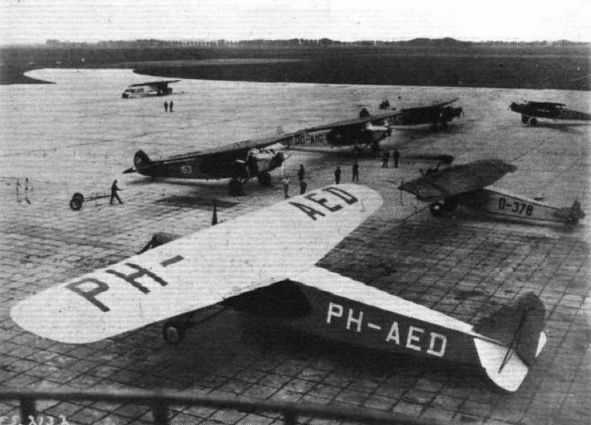 In the second row, from left to right; Fokker F.VIIb-3m Swissair, F.VIIb-3m Sabena (Belgium), F.VIIb-3m Ceskoslovenska Letecka Spolecnost (Czechoslovakia). In the background another Lufthansa F.III. 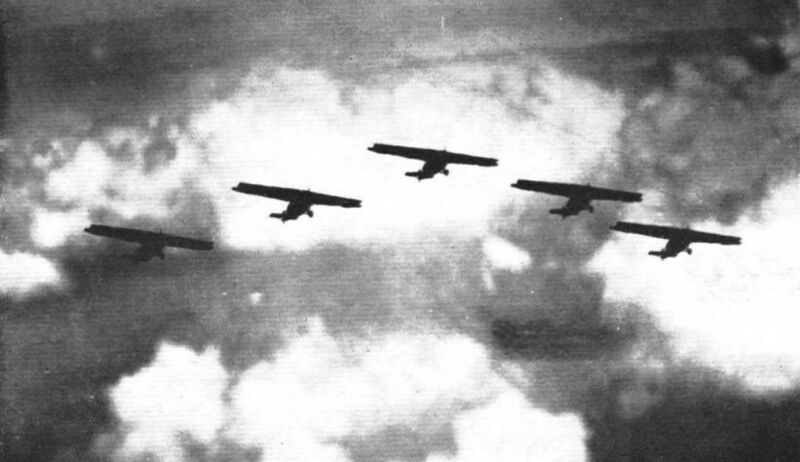 FOKKERS FOR SWITZERLAND: A formation of Fokker F.III (Siddeley "Puma") commercial monoplanes, originally employed by K.L.M. on their air lines, being flown from Holland to Switzerland, where they have been put into service by the Basle Air Traffic Co., "Balair"
A close-up of the nose of a F.III, showing the installation of the Siddeley Puma engine and the proximity of the pilot’s seat. 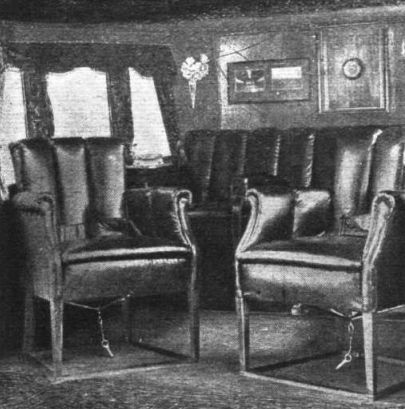 THE CABIN OF THE FOKKER F III: Well upholstered armchairs and ample leg-room make this cabin extremely comfortable, and, owing to the high position of the monoplane wing, the view obtained through the windows is absolutely unobstructed. 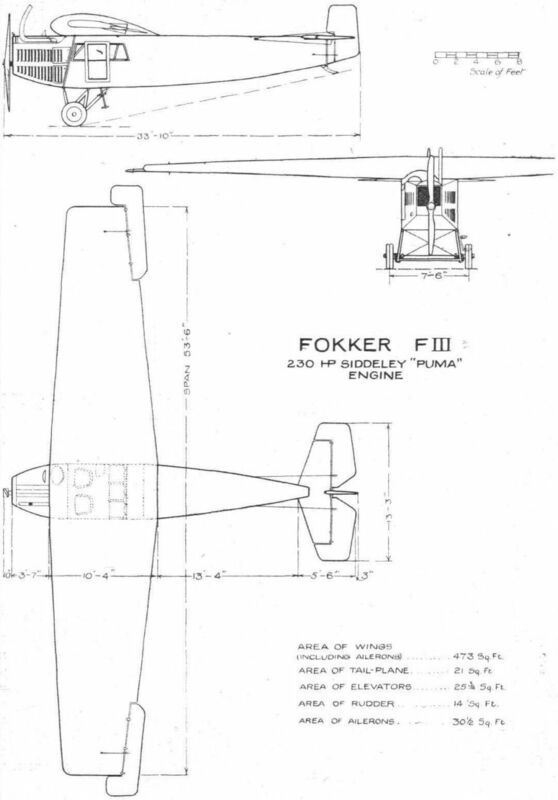 THE FOKKER F III: Sketch showing pilot's seat and engine controls, etc. Note instruments on nose rib and front spar. THE FOKKER F III: The petrol pump, by means of which the tank is easily filled by one man in a few minutes.